The University of Rhode Island held a 125-year finale celebration on the quad yesterday evening. 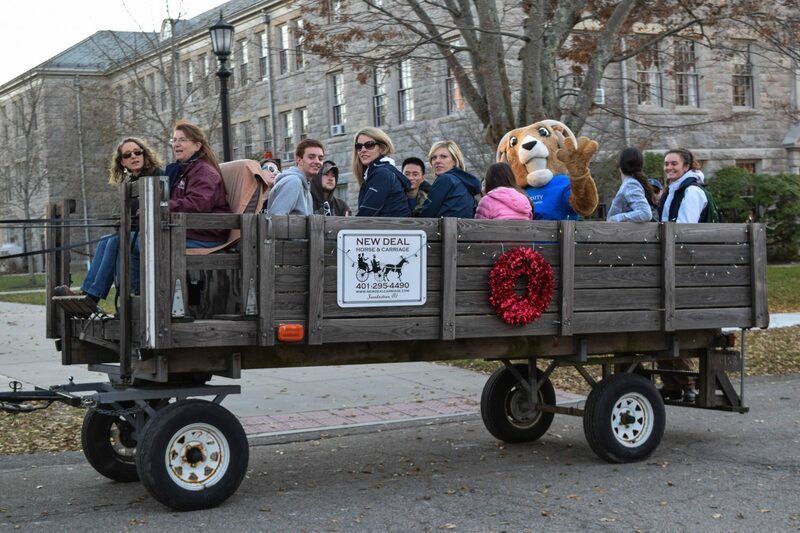 The quad was filled with horses giving hayrides, an assortment of free food, animals from URI’s Peckham Farm, bouncy houses, loud music from a DJ and fire pits to keep everyone warm. To top it off, a two story high zip line was available for students in front of Davis Hall to glide across campus. Kelly Mahoney, executive director for External Relations and Communications, and a URI alumni, put together the event and felt the turnout was great. Along with the university being established for 125 years, Mahoney said URI is celebrating much more. Students, faculty, staff, family, friends and alumni were spread out on the quad dabbling in what the event had to offer. One URI alumni who attended the finale was Beverly Perry, the granddaughter of Millard Fillmore Perry, the author of the URI alma mater. The event was made possible through the strong effort made by the URI community. After 125 years, URI has come a long way in all aspects of a state university. Mahoney also mentioned how diverse URI has become in the past decade. 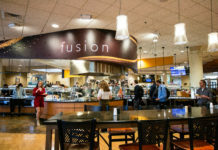 Although students at the event have not been there for every year to endure every change, they were sure to show their appreciation for what the university has become to support their years as a college student. 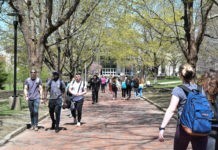 A Student Assistant at the office of university events, Caitlyn Sloan, believes the celebration is a way for URI to keep moving forward in a positive direction. The celebration made for a complete circle of the event that happened last year on the quad where students formed the number 125 for an aerial picture that represented the beginning of 125 years of URI.